Jacket made of natural lambskin, with a casual and modern tailoring for women. 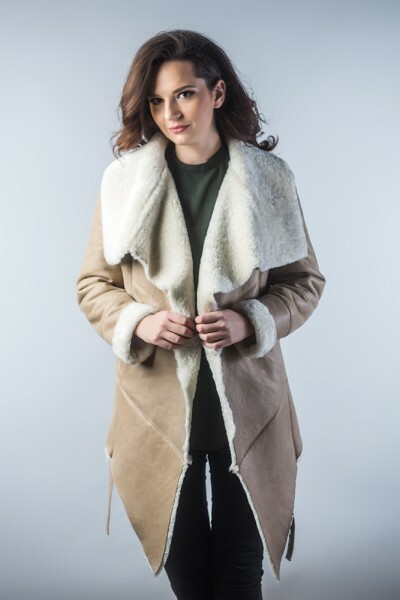 This jacket is made of lamb nappa leather, the exterior is resistant to moisture and dirt and shorn lamb merino fur interior provides comfort for cold days. The fur inside is trimmed to a thickness of 8 mm. 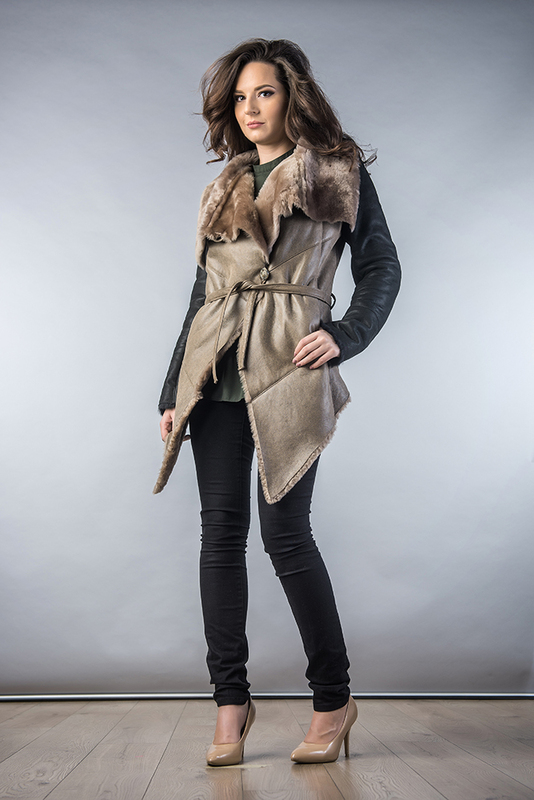 The collar is made of merino lamb fur sheared. This jacket is available in four colors that you can choose the one which is in contrast with the rest of his coat sleeves for a different and modern outfit. Closing of the jacket is made with a thin belt made of lamb nappa leather that match the two buttons.